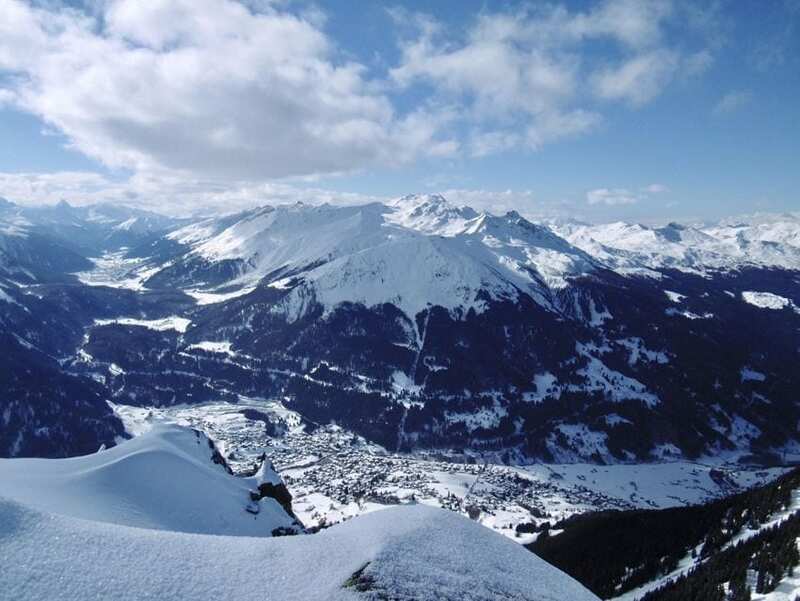 If skiing is an option, find out why Davos Klosters is your best choice! Known for being home to the main World Economic Forum, the Swiss city of Davos is the highest one in Europe, having been nicknamed the “Magic Mountain” by the famous German writer Thomas Mann. In the canton of Graubünden, its official language is German, but speaking English is very welcome. Davos is located next to the lake of the same name; it is a prestigious sports centre, more recognised for the winter ones, although it counts on different options in the summer as well. In addition to sports, you can find cafes, various tours, and even a shopping centre. Okay – that might not be reason enough. Through the mountains, Davos is connected to Klosters, a cosy and charming village where many international names, such as Prince Charles – his first visit was 40 years ago! – and his sons William and Harry; U2 singer Bono; and actress Julia Roberts have already spent their winter holidays. This year, Queen Silvia of Sweden and her husband King Carl XVI Gustaf are heading to the city. That shows the place houses great infrastructure and leisure options that satisfy the most demanding ones, with discreet luxury. Well, we can think forward. The region holds 320 km of ski piste and 57 lifts in six different areas – each mountain presenting its personality and ski offerings. If you enjoy an alternative route, do not worry: Davos Klosters has skiing options for all standards – beginners included -, and has the best off-piste in Europe. Moreover, the experience can go beyond: To enjoy the region with excellence, choose a Ski guide to explore the mountains. They will ensure your visit to the best spots, with the most beautiful views, and will help you unravel the secrets of off-piste. That means you can truly experience the excitement and freedom afforded by skiing touring. So, are you already out of breath? If you choose Davos, that means you have selected Klosters as well, and vice versa – two cities reunited by the tourism. To change destinations, take a train, and in 20 minutes you will be done. By car, it takes 10 minutes, or you can even ski between them. The central ski area that links both resorts is PARSENN, considered the cradle of skiing in Switzerland – from Klosters, it is called GOTSCHNA. In Davos, SCHATZALP is a perfect mountain for beginner adults; there is located the Hotel Schatzalp, old sanatorium, full of charm and history. The area of JAKOBSHORN is popular among snowboarders due to the Funpark JatzPark – with 2,500 meters of height, it offers superpipe, rails and kickers. PISCHA is also great for mountain ski-touring, off-piste and snowshoe walking, and RINERHORN is worth visiting when Parsenn is crowded, during peak-weeks of the season. Heading to Klosters, you will meet a family-friendly area: A small village that has several options for children to enjoy themselves while their parents ski. Having fun in the snow is even more attractive with the several toys available for that. Its MADRISA area is perfect for them. In fact, the whole area houses more than 140 restaurants on the mountains, which value both international cuisine and local dishes – like the amazing Pizokel, a type of the Italia tagliatelle. Many are the dining options with typical foods of the Graubünden region. Styles vary according to tastes and moments: From the central restaurants, highly structured gourmet brands, to those in comfortable small inns, ideal for a romantic occasion. Once the family has finished their sportive or playtime moments, it is time to relax or go shopping, in both Davos and Klosters! It is 2 in 1! More than being glamorous ski holidays, Davos Klosters holds many miles of single-track for summer mountain biking. Paragliding, riding, hiking and enduro mountain biking are other options when the sun rises. Regardless the chosen travel profile, Davos Klosters is ready to meet all your expectations for your winter or summer holidays. Do not be put off – try it at any time of the year!